When you think of Acura vehicles, you think of luxe, high-end features, right? 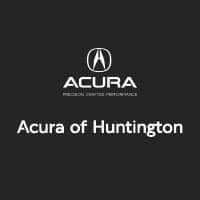 Well, the 2019 Acura ILX interior delivers, and shoppers from the Melville area are sure to love the stylish design, advanced technology, and comfort that the inside of the sedan provides. The interior of the ILX features the available red and black sport seats, leather-trimmed gear shift and steering wheel, and a full-color cluster display. These seats provide a comfortable seat to help keep you focused as you drive through Plainview, and the luxe finishes are sure to impress passengers. Standard: The standard model includes AcuraWatch™, Multi-view Rear Camera, dual-zone automatic climate control, Bluetooth® HandsFreeLink® Wireless Telephone Interface, and much more. Premium: Upgrade to the Premium package for leather seating, smartphone integrations, HomeLink®, HD Radio®, and much more. Technology: When paired with the Premium Package, you get to take advantage of an advanced navigation system and more technology to keep you connected and informed. A-Spec: This package provides a unique interior design with Ultrasuede®-trimmed seats and a red-illuminated gauge cluster. Head to our showroom in Huntington to explore the interior features of this luxury sedan in person. While you’re here, be sure to ask about new vehicle specials and finance options. Contact us with any questions or to set up a test drive.